When you pass through the door from the MAAM Office, Store, and Display Building you will find yourself on the Museum Ramp. You Can See Them All at the Mid Atlantic Air Museum. The undisputed Queen of the Ramp is MAAM's very first aircraft, the Douglas R4D-6 of the Naval Air Transport Service. 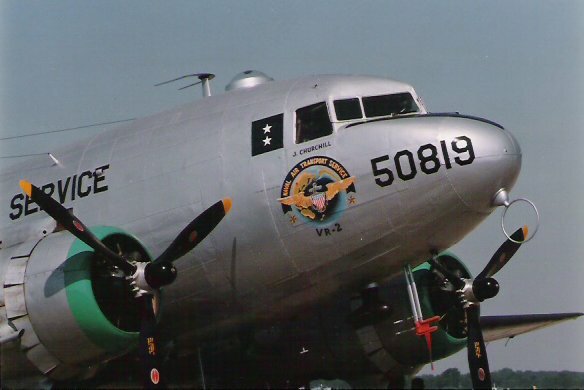 R4D is the Navy designation of the famous DC-3 airliner. Acquired in 1980, the R4D won the 1983 'Grand Champion Warbird' at the Experimental Aircraft Association's convention in Oshkosh, Wisconsin. 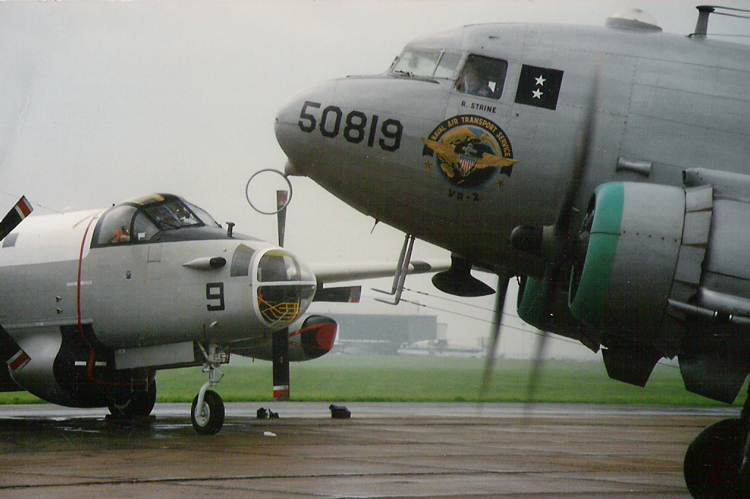 If the R4D is the Queen, the mighty P2V-7 'Neptune' is the King. 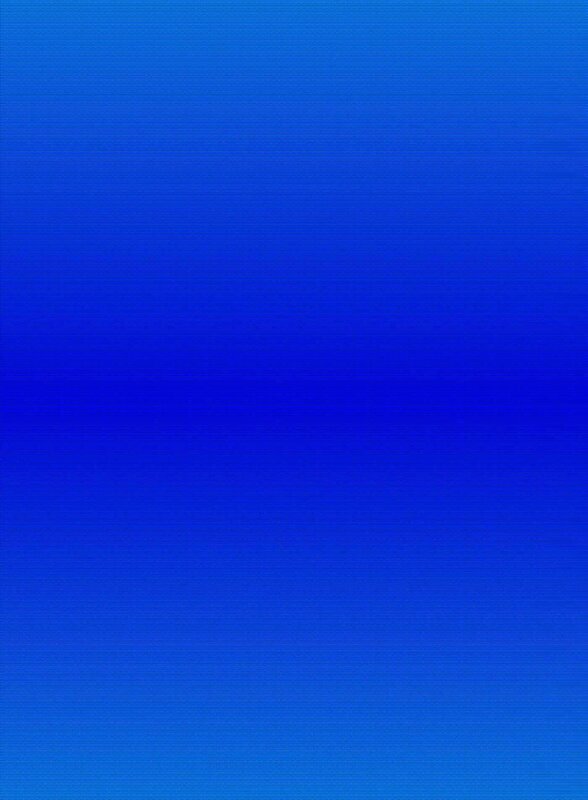 This anti-submarine patrol bomber served in the US Navy from 1945 until the mid-seventies. 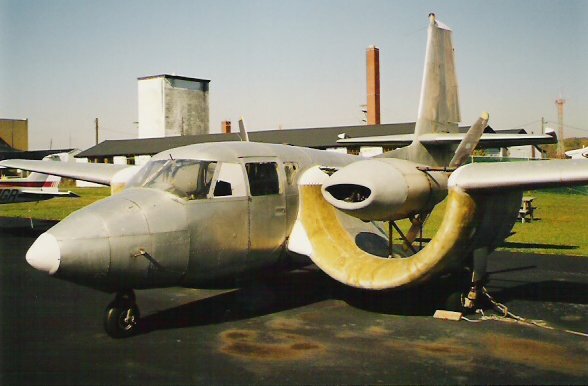 At their 1985 convention, the Experimental Aircraft Association awarded our P2 the 'Best Restored Bomber' title. 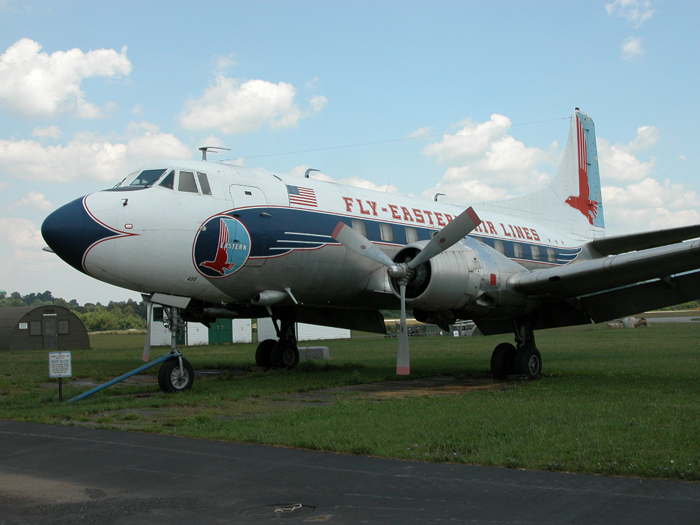 Over here is our magnificent Eastern Airlines Martin 4-0-4 'Silver Falcon'. This aircraft actually served the Reading Airport during the 1950's. The Martin was named 'Best Restored Classic Airliner' by the Experimental Aircraft Association at Oshkosh in 1995. The one-of-a-kind Custer 'Channel Wing' is not currently airworthy, but is in the process of restoration. 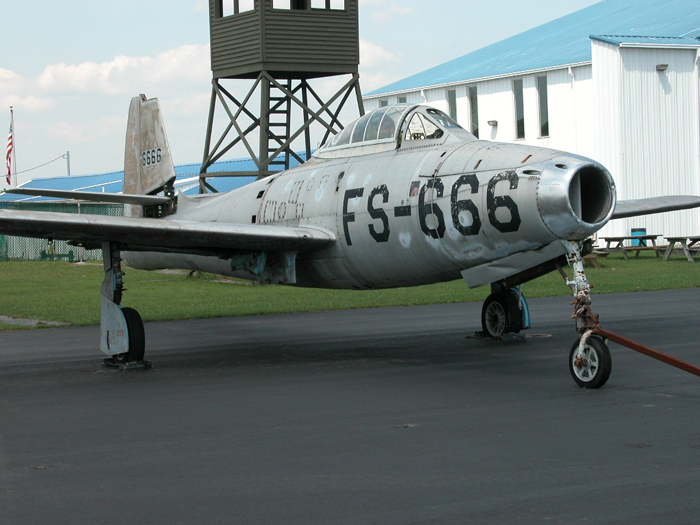 The Republic Aviation F-84B 'Thunderjet', a 1946 model originally designated P-84, it is one of only two known to exist. Here is our amphibious Sikorsky HH-52A 'Seaguard' SAR helicopter. 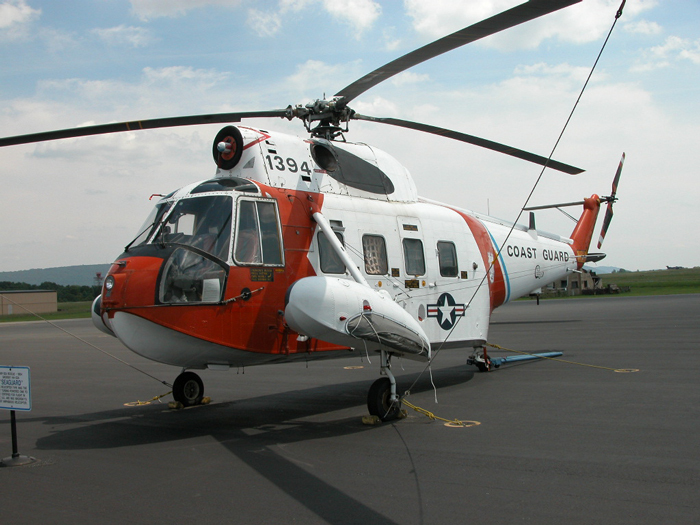 After a long and distinguished Coast Guard career spanning both coasts, our bird last served at the USCG Air Station at Chicago. 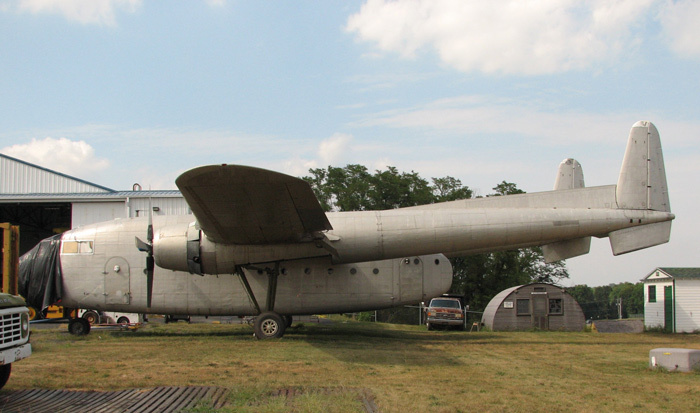 Finally, over here undergoing restoration is the heavyweight champ of the ramp; the C-119F "Flying Boxcar", the last one that flew on active U.S. military service.